Every now and again something happens that is totally unexpected. I recently had the chance to make a new friend and learn about his life and his barn. I’ve driven my car and ridden my motorcycle by this barn dozens of times and always said to myself, “Some day, I’m going to have to stop and take some photos of it.” For reasons that I can’t explain, there was something about this barn that fascinated me. I finally decided that I needed to make the time to take some photos of it. As I clicked away at the side of the road, a pickup slowed down and stopped in front of me. The driver opened the passenger door and we exchanged some pleasantries. Then he asked with an I-know-something-you-don’t-know smile, “What are you doing?” “I’ve been by this barn a hundred times and I always wanted to take pictures of it because I thought it was so cool!” I explained. 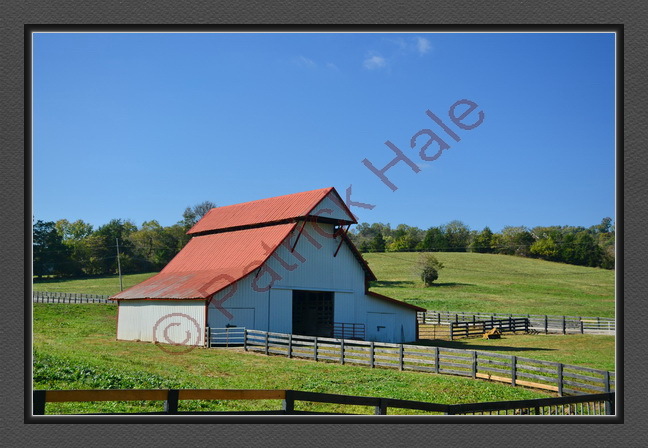 “That’s my barn,” he replied proudly as a smile filled his face. From that inauspicious beginning, a friendship was born. For over the next hour, John Russell showed me around his barn, his catfish pond, where a silo once stood, and answered my questions with kindness, candor, and good humor. The barn is over 100 years old and was made from yellow pine. John’s done some upkeep on it, but the foundation and basic structure probably dates to the 19th century. Having been inside and upstairs, I can vouch for the fact that barn is solidly put together. 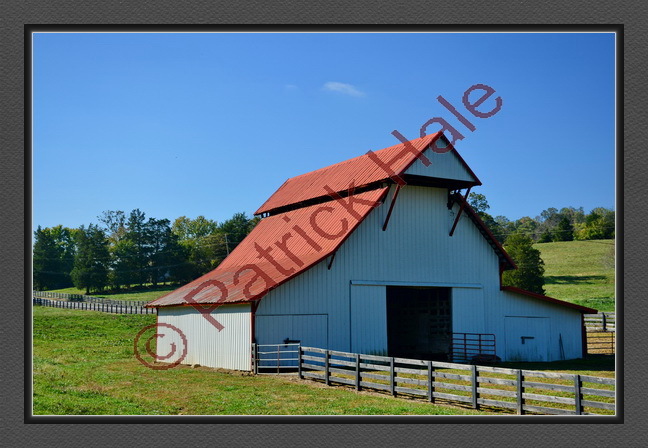 The barn was built by people who knew their craft and has been maintained in good condition. John moved into his current house in 1977 and then purchased additional adjoining acreage in 1981. 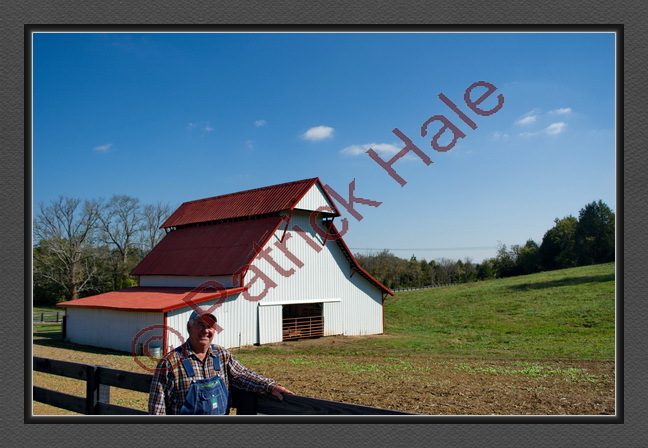 He grew up the son of a share-cropper outside Leiper’s Fork and his wife was raised near where they currently live. He’s looking forward to the arrival of his daughter in her new home so the family’s closer together. 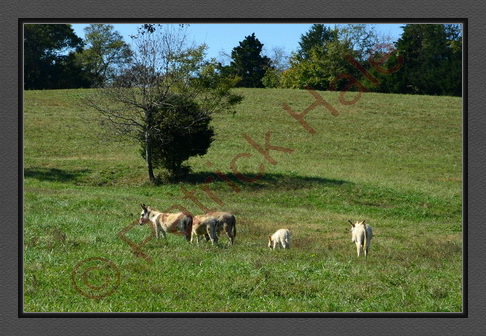 He introdu ced me to his donkeys: Oscar, Jenny, and Little Jack. I wish I could tell you that I remembered all their names, but I don’t. They were named by John’s grandson, who’s apparently quite creative. Donkey’s like Little Jack are relatively rare, so John’s naturally quite proud of him. When I asked if John minded my putting this information on the web, he said he had no problem with it whatsoever. He also told me that if I was back in the area, I should feel free to stop by and step in for a nice conversation. Knowing what I do now, it’s clear I should have stopped to take photos of John’s barn long before I did. If you get a chance to talk with John, ask him to tell you how the street he lives on got it’s name. You’ll be hard-pressed to find a more decent, open, friendly man anywhere.